Join us for the Naturally Beautiful launch party! Nautrally Beautiful was created to produce and host events to promote self love and awareness of the natural hair movement while educating and empowering our community. 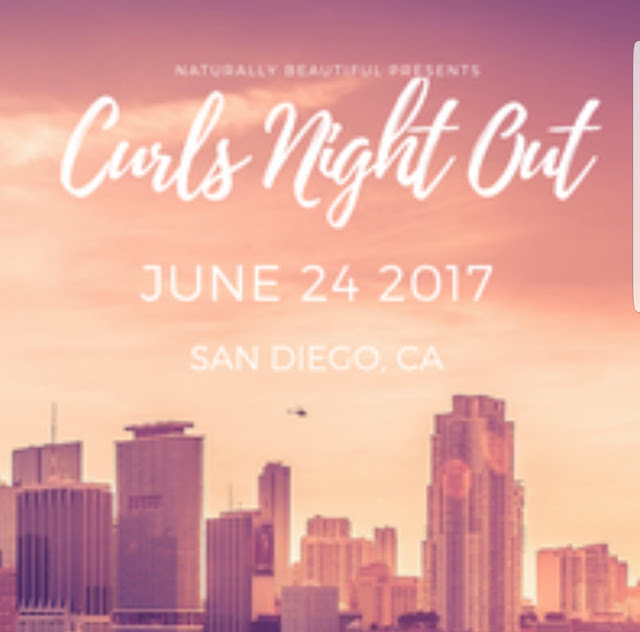 Our Curls Night Out was designed for local natural and curly haired girls (and guys!) to meet, network, and have a safe and fun "Night Out" experience while learning about the newest products and trends for curly & natural hair. Product spotlight, Curl Talk & Q+A, Style tips, and more will be discussed! The event will take place in San Diego, at Babycakes on June 24th between 6:00 - 9:00 PM. We will have special guests, vendors, catered food, signature drinks, music, gift bags, raffle prizes and more! You won't want to miss this! - Meet & hang out with other curlfriends in the heart of San Diego for a fun Night Out! - Catered food, signature cocktails, and more! Please be advised that photographs will be taken at the event for use on (but not limited to) Naturally Beautiful website,YouTube Channel, Blog, social media platforms, Curls Night Out Press, Curls Night Out marketing materials and all other publications associated with Curls Night Out.By entering this event, you consent to Naturally Beautiful and Curls Night Out photographing and using your image and likeness. The event is held at Babycakes San Diego, which is a cafe, but does turn into a bar at night. We have a section of the venue that will be dedicated to our event. Cocktails will be provided for VIP guests 21+ (while supplies last) and also available at a cash bar for all guests 21+. Tickets will only be refunded if the event is cancelled. You can either bring your ticket or show it on your mobile device at the door. Tickets are required for entry and will not be sold at the door. You can still buy tickets up until the end of the event. Are you a Natural Beauty? Did you see all those great sponsors? Are you a cupcake fan? Will you be attending? I'm 4 for 4 here. Definitely a Natural beauty. I haven't gotten my Twist Out or Wash N Go down pat yet which is why I need to be in attendance. The goodies provided by the sponsors sound great and Baby cakes cupcakes are super bomb so it's a must go. Hopefully I'll see you there!